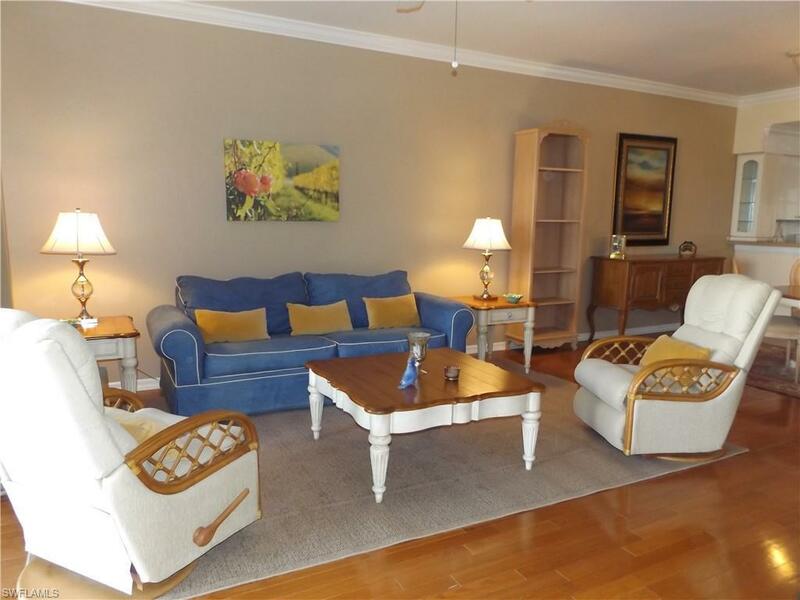 First-floor condo with view of the signature hole on Royal Course of Heritage Palms Golf & Tennis Country Club. 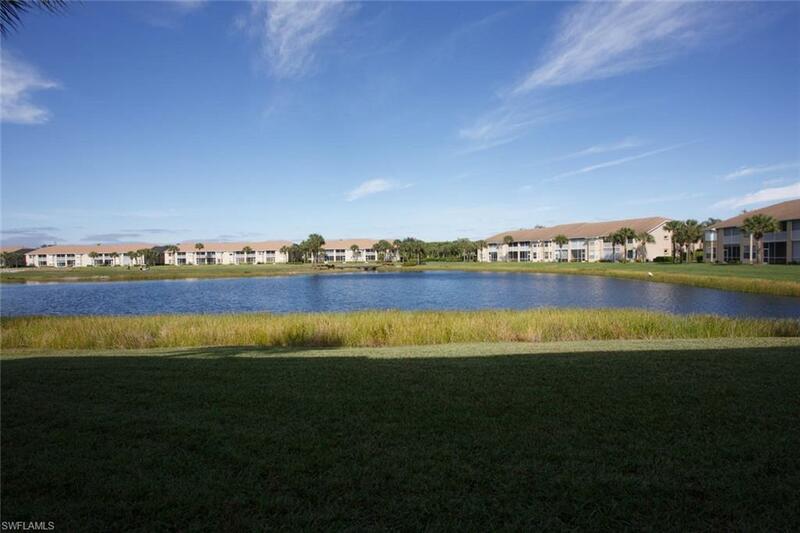 Views of water and golf course abound. Updated floors and plantation shutters in bedrooms. 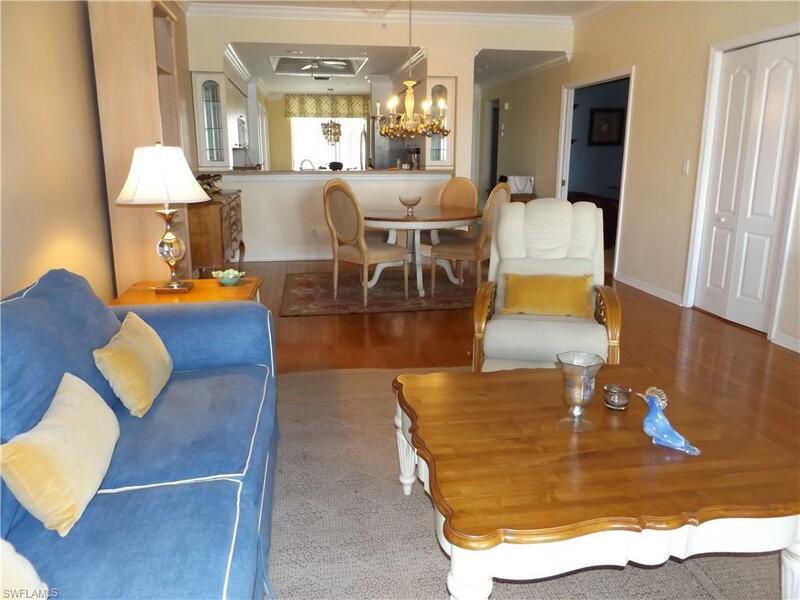 This condo offered turnkey. 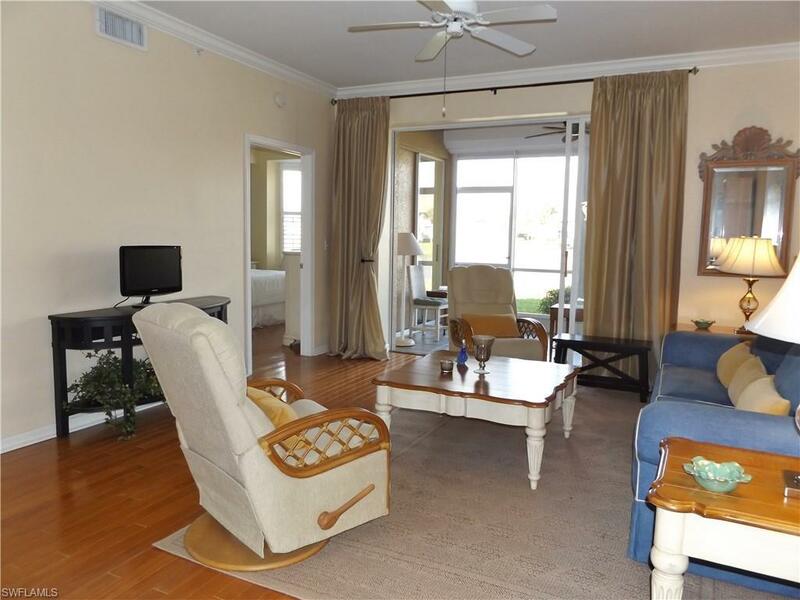 Heritage Palms verandas include a den, laundry closet and a one car garage. Stacking storage shelves in the garage with coolers and beach gear. Stainless refrigerator and dishwasher are new. Heritage Palms amenities include; two golf courses, three restaurants, 8 tennis courts, 7 community pools, 2 community pools with spas, activity/fitness center, library, pickleball, bocce ball, fishing pier plus a full schedule of member events. Listing courtesy of Karen Schmidt of Kerri Theisen Realty, Inc.